Hair products for dry hair, brittle hair and damaged hair. Hair products for dry and brittle hair . This hair type is often very fragile and therefore requires special hair products. 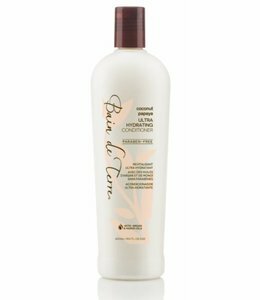 In this category you will find products that are especially suitable for the treatment of dry hair . If your hair has been chemically treated, go to the damaged hair category. Let your hair revive and shine again with these professional hair care products from hair salons. These conditioners, shampoos and treatments are ideal for dry hair, due to the moisturizing and repairing qualities. Hair products for very dry hair and damaged hair, the Droog Haa series has been developed to improve the structure of brittle and dry hair over the long term, with a cocktail of highly effective plant substances, including desert rose, black oats and soy lecithin. The hair products for dry hair - dehydrated and stressed hair consisting of shampoos, conditioners, conditioning sprays and and masks - replaces the missing proteins and lipids in the hair and restores the moisture balance from the first use. Is not to smile. First the hair fracture comes and then the dreaded fluffy hair is created. Add to that the Netherlands again, it will be a complete hair disaster. Even with greasy roots, dry points are very common and require special attention. The dry hair products focuses on getting every lock in tidy condition by replenishing and hydrating lost proteins. After only a single use of the Shampoo and Conditioner duo, the hair feels well cared for, silky soft and so much healthier. In addition to the wonderful Shampoo and Conditioner, there is also a Conditioning Spray to hydrate your hair in no time, and an intensive Hair Mask to repair damage and immediately improve elasticity.